Saints Row developer Volition has released a new video demonstrating the weird and wonderful elements of the Saints Row 4 characters, weapons and gameplay. Developer Volition was bought by Deep Silver (Koch Media) in the THQ bankruptcy firesale and this is a project that is expected to be a success for the new owners. In this game sequel the leader of the Saints gang has climbed to the top of the heap and become the President of the US of A. Boone says the team are always proud of the innovative and exotic weaponry they use in the Saints games and he starts off by demonstrating the “Inflator rifle”, you can guess what that does to people/things. This video was first shown at PAX East and a “favourite” among the crowd was the “Dubstep Gun”. Following his outrageous gunplay episode the president decides to nip down to the gun shop in his monster truck. 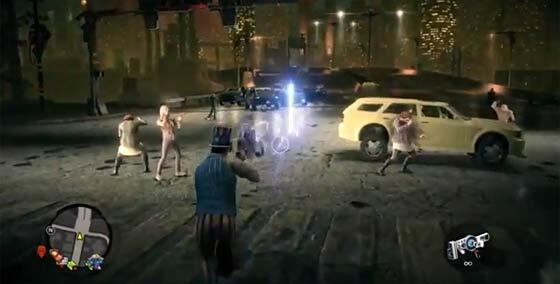 This section of the video demonstrates gun customisation in the game. After this we get to see the first of a powerful evil alien race called “The Zim” who will be featuring in the game. A useful new feature to help you combat such enemies may well be the new mechanoid-suit which has machine guns, rockets and jump-jet capability. As well as these objects that you can use to enhance your character Boone said that the developers have decided that the leader of the Saints should have some “superpowers”. Demonstrating this aspect we see the on-screen character run faster than a car, leap to the top of a tower block and then fly through the sky. Also using the character superpowers you can impressive hand-to-hand combat moves against your enemies. Another featured superpower was the ability to ice-freeze things and use telekinesis. Boone promised more to come and be revealed as the game gets nearer its launch date. 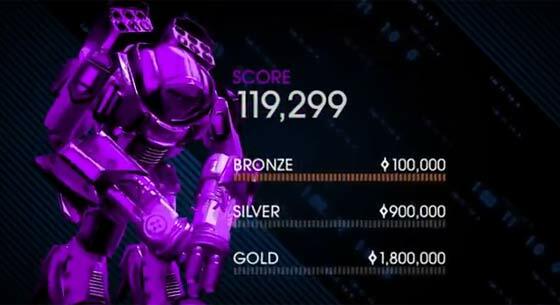 When you complete a task in the new game you will achieve a completion level score, for instance if you complete a task but only just manage to scrape through, you will get a bronze level achievement. This feature helps the boost replayability factor of the single player game. Saints Row 4 will be released on PS3, Xbox 360 and PC on 23rd August in Europe and on 20th August in North America. If this was as mental as SR3 or - heaven forfend - worse, then it's a dead cert for a pre-order from me. EDIT: just watched the video, and yep, it's fairly crazy. Although it looks like it's “borrowing” from more games, the superpowers make it look like Crackdown, and that “warden” in the video reminds me of the brute from Gears of War. Like the mods though - as the commentator says in the video, it's about fun, so time to save the pennies for that August 20th launch. Wub wub is the new pew pew? Only played the 3rd from the humble bundle but it was great fun. Think I'll give this a go. looks suitably mad. Lol that Dubstep gun looks awesome :) Enjoyed SR3, think I will be back for some of this.